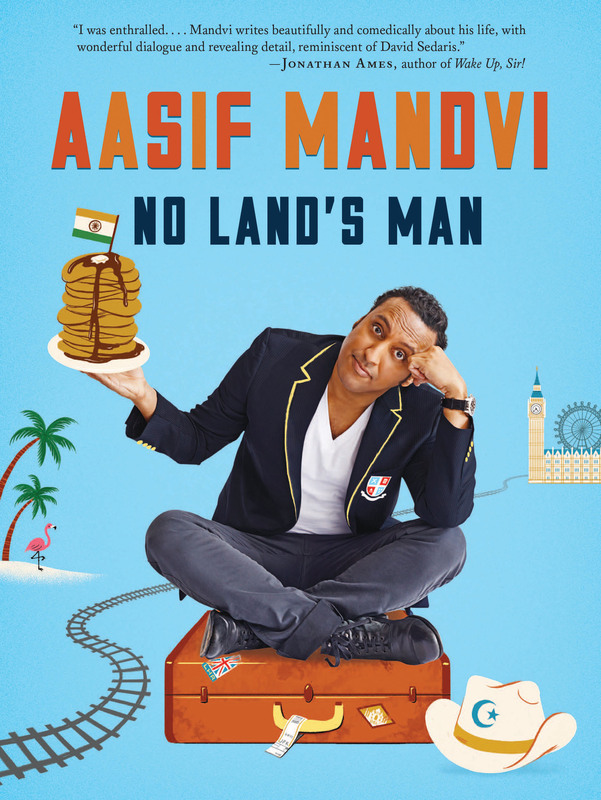 Actor and writer, Aasif Mandvi, has a strong background in theatre and film, but gained recent fame as “Senior Muslim Correspondent” on The Daily Show with Jon Stewart and for his role in the movie, Million Dollar Arm. He is also wrote and performed the award-winning one-man show, Sakina’s Restaurant, which was turned into the film, Today’s Special. From Mandvi’s book,”If you’re an Indo-Muslim-British-American actor who has spent more time in bars than in mosques, it’s a little tough to explain who you are or where you’re from.” Mandvi was born in Mumbai, India, spent his childhood in England and as a teenager, his family moved to Tampa, Fla. He explores this sense of place and identity through delightful and poignant vignettes in his recently published memoir, No Land’s Man. Aasif Mandvi joined me by phone from New York, for KBOO’s arts program, Stage & Studio. We talked a lot about navigating identities in school, acting…and brunch. Check out the podcast!